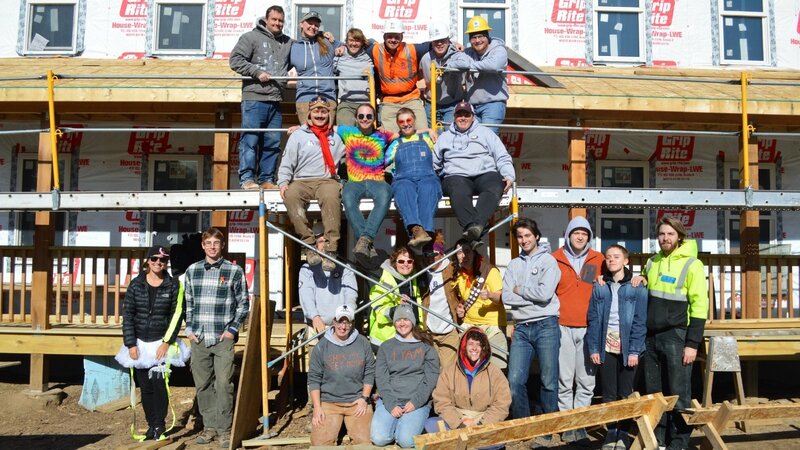 Hi everyone, I'm an AmeriCorps member serving in the Twin Cities Habitat for Humanity office. With this illustrious title comes everything you would expect: lack of construction skills. You've got an item (or items) to donate, and you know where you're going to donate them. Now what? Windows can increase the curb appeal of your home, make your home quieter, and make your home more energy efficient! But, that only applies if they're in good condition. If you’re feeling a draft near your windows, receiving higher than normal energy bills, having difficulty opening and closing your windows, or noticing condensation on your windows, it could be time to replace them. But there are so many options out there to choose from. How do you pick? Here's a list of top things to consider when shopping for replacement windows. At a very young age, Victoria Lambert found herself interested in the world of architecture and art. "I always loved rearranging my room and our home whenever my parent’s finances would allow it," she said. Let's face it, the garage is likely to be one of the most notoriously disorganized spaces of your home. Don't have room for it in your house? Throw it in the garage! Only need it for one season? There’s space for it in the garage! Is it too dirty to keep inside but will get ruined if left outside? Store it in the garage! As you can see, it's easy to turn your garage into a catch-all room for anything that doesn't fit or belong indoors. But just because it’s a multi-functional space, that doesn't mean you can't organize it! Since spring-like weather was a bit delayed, that might also mean that you've allowed your annual spring cleaning tasks to slide. Whether you're going to dedicate an entire day to decluttering your home, or you only have 10 minutes to spare, we've got some ideas to get you on your way to a clutter free home! Choosing a new exterior paint color for your house is a lot of fun! With every fresh coat, you’re customizing your home to look just the way you like it. But, there are so many different paint color schemes, and sometimes it can be tough to decide between all the options. Don't worry! If you consider these key factors when choosing an exterior paint color, you'll find the perfect hue in no time. Spring Projects: When is the Best Time to Paint Outside? As the snow melts and the weather warms up, it's time to tackle some of those outdoor painting projects you couldn't complete during the winter months. Whether you're painting your deck, trim, or a large project you weren't able to paint indoors, temperature plays a role in your project. Here are some tips about temperature and prep work to make sure your spring painting jobs turn out just right. Showing off your style and personality isn’t limited to the way you decorate the rooms inside your home; you can create a one-of-a-kind look to your house’s exterior too. Whether it’s painting your front door an eye-catching color or planting flowers and shrubs in your front yard, your home should resemble you both inside and out. Personalizing your space is what shows like HGTV’s Curb Appeal, Design on a Dime, Color Splash, and House to Home are all about. So, channel your inner designer and try some of these home exterior upgrades that will make a big impact.